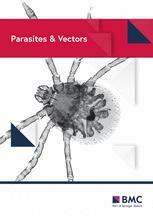 Parasites & Vectors focusses on all aspects of the biology of parasites, parasitic diseases, intermediate hosts, vectors and vector-borne pathogens. Broader issues, for example economics, social sciences and global climate change in relation to parasites, are also covered. The journal hosts the BugBitten blog and awards the Odile Bain Memorial Prize annually for outstanding contributions by early-career scientists to medical and veterinary parasitology. Parasites & Vectors also publishes a wide range of collections of related articles, from the pharmaceutical industry, academia and others.